Asians have a rich and unique cultural heritage and this truly becomes evident during their wedding ceremonies such as the Mandap ceremony which is an essential ritual of Hindu weddings and the Nikkah ceremony which is an essential ritual of Muslim weddings. Where some Asians living in the UK travel to their home countries for their wedding ceremonies, others just let go of their dream wedding and instead opt for a simple wedding in the UK. If you fall in the latter category and are thinking of having a simple wedding in London as you can’t fly to your home country and have a typical Asian wedding, then you might want to get in touch with Mr. Mandap and rethink your decision. 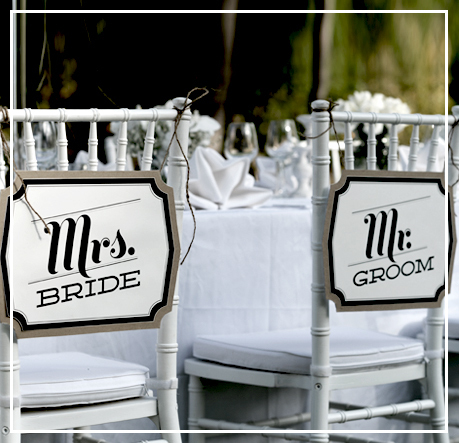 That’s right; Mr. Mandap is one of the leading Asian wedding event management companies. 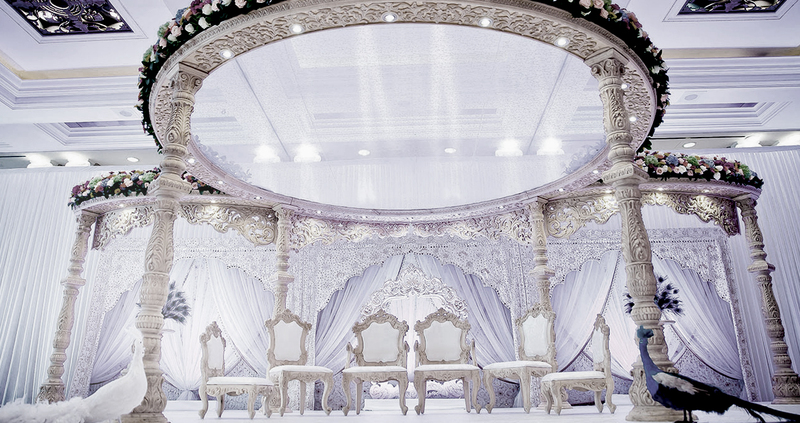 From creating fabulous wedding stages and breathtaking mandaps to providing flamboyant Asian wedding décor and wedding marquee in Berkshire, we can help you plan and organise your dream Asian wedding in the UK. Our strong understanding about the Asian cultural, rituals and customs enables us to create a typical Asian wedding for our clients who want to tie the knot traditionally, just like they would if they were back home. Being an experienced Asian wedding event management company, with us, you don’t have to worry about anything as we take care of every element, every aspect and every detail of the event while you enjoy absolute peace of mind. From centre pieces and chair covers to lighting, flower arrangement and stage decorations, we make sure that everything is perfect and according to your wedding theme. 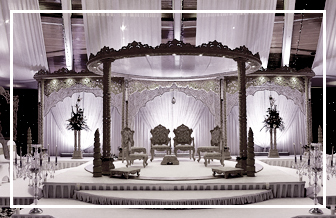 Our decoration team pays special attention to the wedding stage/mandap setup because we know that in Asian weddings, the stage is the centre of attraction where the bride and groom sit together and enjoy their wedding day. Therefore, we make sure that the stage is decorated exquisitely with lustrous backdrops, beautiful flower arrangements and perfect lighting. Our exotic Asian wedding décor will not just mesmerise your guests but we guarantee that you will also receive great compliments. 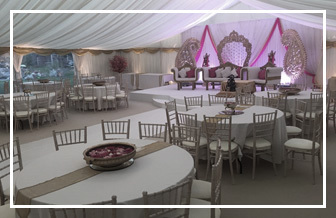 At Mr. Mandap, we also specialise in Mandap hire and wedding marquee in Berkshire. So if you’re planning to have a mandap ceremony or want to have a sangeet night before the actual wedding day, we can provide you with a stunning mandap and marquee setup along with decorations according to your personality taste, budget, style and chosen celebration. For elegant and affordable wedding event management or mandap hire in London, contact Mr. Mandap. 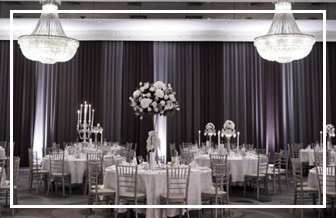 Our professionalism, passion and service integrity has made us the go-to provider in the wedding event management industry. Give us an opportunity to serve you! "The ceremony was amazing! We are grateful for the creative caring approach." 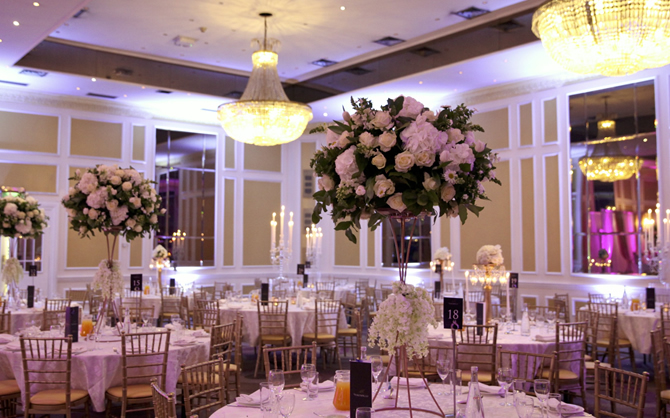 Recognised as the leading providers for Asian wedding décor London, we can help you create a magical wedding by beautifully decorating your venue.